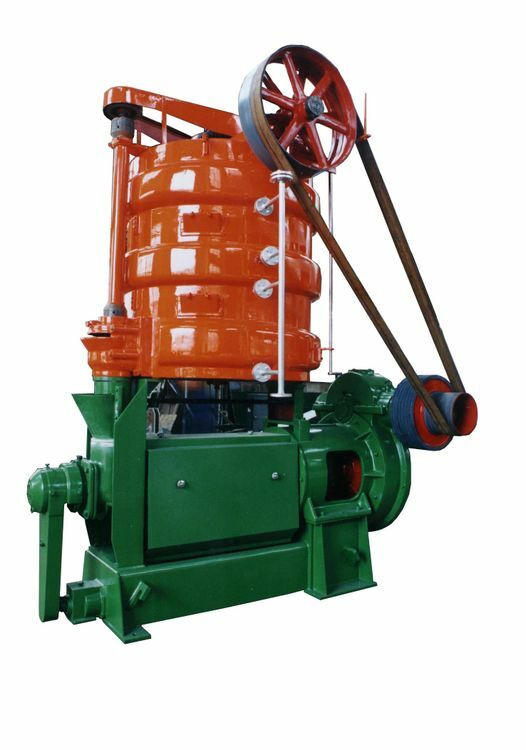 The ZX series oil press is suitable in squeezing out the vegetative fat, processing vegetable oil seeds and so on object like vegetable seed, shelled peanut, sesame seed, cotton seed kernel, soybean, coconut tree, sunflower seed may squeeze. The ZX series automatic oil press structure is compact, the output is big, but the fuselage occupying land area are not many, firm durable, the use control, is very simple. Every yummy treats how many, leaves the oil process, slag cake thickness all may be obvious at a glance, if must perform to adjust, so long as moves the handle and the special-purpose school cake spanner then, the reduction gear all plunges in the fat liquor to revolve, the gear tooth face hardens after the heat treatment, but the squeezer main shafting uses the high quality alloy steel manufacture. Therefore may guarantee the long-term use, presses out the cage part to press out the spiral with to press out the strip also after carburizing processing, under although therefore is in the high temperature friction to consume day and night, the even ability uses above 3 months.